Copies may be ordered in several ways. Firstly, via this web site with payment by PayPal where the total price of £39.99 includes postage to GB mainland addresses. To do this, please go to the 'Vintage Year; gallery (via the 'galleries' menu or the main photo on the Home page) and select 'Buy Now' (upper right). Scroll down the price list to 'Products' section, select the book and enter the number of copies required. Alternatively, you can place an order by email to peter@petermcfadyen.co.uk and payment can be arranged by cheque, bank transfer or PayPal. The third option is to place your order with the publisher by folllowing the link : http://www.blurb.co.uk/bookstore/detail/8377277-a-vintage-year-2017 which will also enable you to browse the whole book via the 'preview' option. If you order here, you can pay by credit card but additional delivery charges will apply. 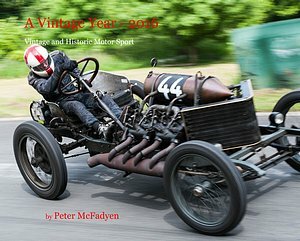 "A Vintage Year 2016" has just been published. 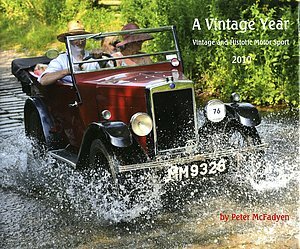 You can preview the contents and order copies via this web site or by going to http://www.blurb.co.uk/b/7547597-a-vintage-year-2016 where you can also browse the 80 pages and 240 photogrpahs before purchasing (an advantage here is that credit/debit cards are accepted while on this website payment is by PayPal only). 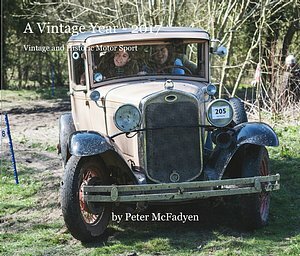 A Vintage Year 2016 is available in two editions, 'Standard' with soft cover and 'Premium' with hardback and dust jacket and printed throughout on premium quality paper. Prices are £27.99 and £38.40 respectively (excluding shipping). 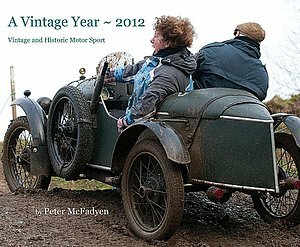 "A Vintage Year 2012" is also available, price £39.50 plus postage. As with previous editions, it consists of 80 pages, hardbound with over 250 photographs and in the same format except that, this year, I have included reports of some (not all) of the events covered. The first 50 copies ordered will be part of a limited edition, each signed and numbered at no additional cost. The simplest way to order any book is via the 'Books' gallery, Click on the cover image then press the 'Buy Now' button. Scroll down the price list to the selected item. If you would like to know more, please get in touch via the contact page on this web site or via the usual email or telephone addresses. 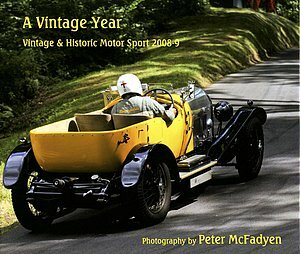 My earlier books "A Vintage Year 2009", "A Vintage Year 2010", "A Vintage Year 2011" and "La Vie en Bleu" - which covers the hillclimb and celebration of French automotive achievment organised by the Bugatti Owners Club at Prescott, Gloucestershire in 2009 - are also available. A selection of my early photographs can be found in Motor Racing at Oulton Park in the 1960s, published in 2006 by Veloce Publishing Ltd as part of their acclaimed "Those were the days" series. Among the drivers featured are Jim Clark, Graham Hill, Jack Brabham, Bruce McLaren, Jochen Rindt, Jackie Stewart and Brian Redman. Cars include Lotus, BRM H-16, Ford GT40, Ferrari and Chevron. This book is available from this web site or through booksellers, in particular those specialising in motor sport publications. Its ISBN is 1-84584-038-0 and the price in UK is £12.99 and in the USA $24.95. 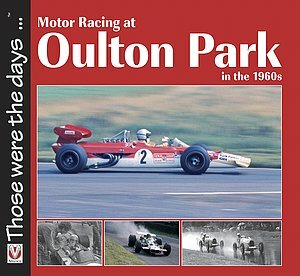 A second volume of Oulton Park photographs has been published in the same series - Motor Racing at Oulton Park in the 1970's. For sample pictures, please see the Gallery " Oulton Park in the 1970s".You can also see sample pages on the publisher's web site www.veloce.co.uk. 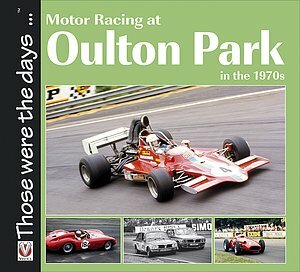 The ISBN for Motor Racing at Oulton Park in the 1970s is 978-1-84584-164-5. It is priced at £12.99 (UK) or $25.95 (USA)from booksellers or directly via this web site. Signed - or unsigned - copies of these books can be ordered through the contact page or directly on line from this web site.